For the four decades, I have been creating a variety of tessellation works to uncover the potential of tessellation design established as an artistic technique by M. C. Escher. My recent focuses are on tessellation movies. Escher designed a great series of Metamorphosis works, however, they are still. 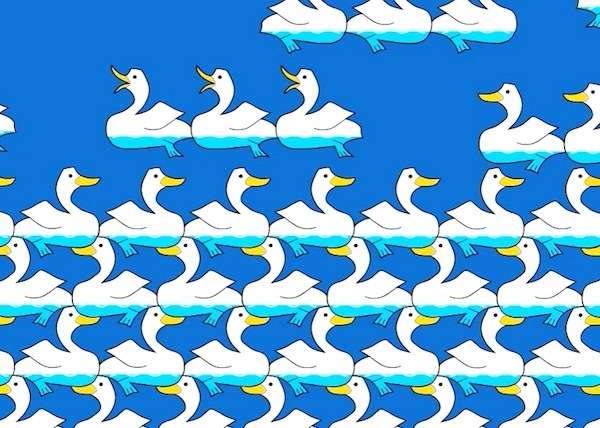 My challenge is to make tessellation works really move on the screen for wide range of audiences intuitively understand the connection between geometry and their daily lives. Inspired by M.C.Escher's metamorphose work, this movie gives hints for young children to carefully observe their world through a new view point of tessellation.